Anthropogenic noise is becoming a dominant component of soundscapes across the world and these altered acoustic conditions may have severe consequences for natural communities. We modeled noise amplitudes from gas well compressors across a 16 km2 study area to estimate the influence of noise on avian habitat use and nest success. Using species with noise responses representative of other avian community members, across the study area we estimated gray flycatcher (Empidonax wrightii) and western scrub-jay (Aphelocoma californica) occupancy, and gray flycatcher nest success, which is highly dependent on predation by western scrub-jays. We also explore how alternative noise management and mitigation scenarios may reduce area impacted by noise. Compressor noise affected 84.5% of our study area and occupancy of each species was approximately 5% lower than would be expected without compressor noise. In contrast, flycatcher nest success was 7% higher, reflecting a decreased rate of predation in noisy areas. Not all alternative management and mitigation scenarios reduced the proportion of area affected by noise; however, use of sound barrier walls around compressors could reduce the area affected by noise by 70% and maintain occupancy and nest success rates at levels close to those expected in a landscape without compressor noise. 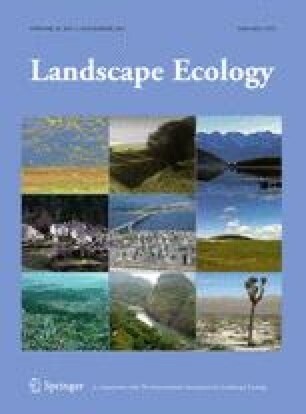 These results suggest that noise from compressors could be effectively managed and, because habitat use and nest success are only two of many ecological processes that may change with noise exposure, minimizing the anthropogenic component of soundscapes should be a conservation priority. We thank our research assistants for field and lab support, especially R. Kennedy, N. Kleist, and P. Nylander, and BLM Farmington Field Office Biologist J. Hansen. We also thank two anonymous reviewers for useful suggestions and comments on an earlier version of this manuscript. This study was primarily supported by NSF DDIG (# IOS 0910092), BLM, through the Colorado Plateau Cooperative Ecosystems Studies Unit, ConocoPhillips, Williams Energy, and University of Colorado Department of Ecology and Evolutionary Biology, plus the Animal Behavior Society, Southwestern Association of Naturalists, Colorado Field Ornithologists, Edna Baily Sussman Foundation, Mountain Studies Institute, and an Ariel Appleton Research Fellowship with support from the Wells Fargo Foundation. C.D.F. was also supported by the National Evolutionary Synthesis Center (NESCent, NSF EF-0905606).